Keep up with the latest ArduPilot related blogs on ArduPilot.org! This is the full-featured, open-source multicopter UAV controller that won the Sparkfun 2013 and 2014 Autonomous Vehicle Competition (dominating with the top five spots). A team of developers from around the globe are constantly improving and refining the performance and capabilities of ArduCopter. Copter is capable of the full range of flight requirements from fast paced FPV racing to smooth aerial photography, and fully autonomous complex missions which can be programmed through a number of compatible software ground stations. The entire package is designed to be safe, feature rich, open-ended for custom applications, and is increasingly easy to use even for the novice. 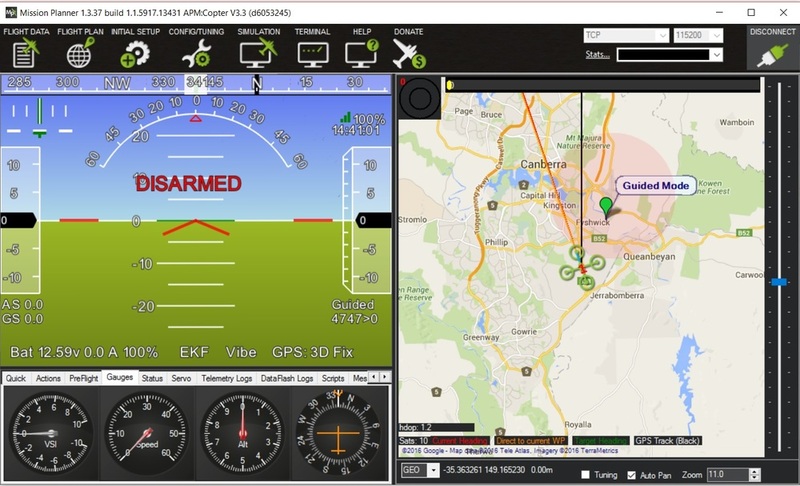 A Pixhawk or other autopilot loaded with the latest version of the Copter firmware. 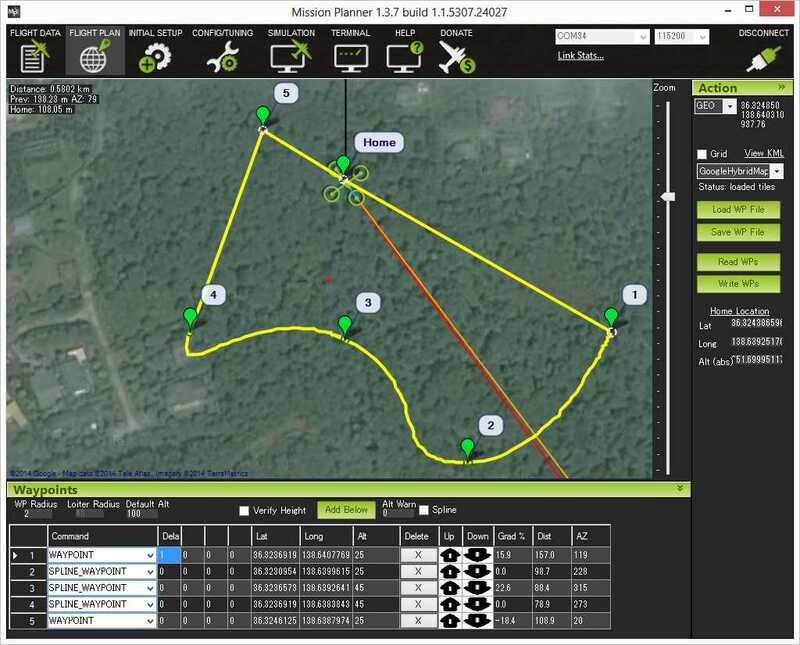 Mission Planner software – gives you an easy point-and-click setup/configuration, and a full-featured ground control interface. This Copter Wiki provides all the information you need to set up and operate a multicopter or traditional helicopter. A suitable MultiCopter or Helicopter for your mission. Plus many other useful options: e.g. data radios, which allow two-way wireless telemetry and control between the vehicle and your computer. Varied form factor allows convenient options for payload mounting. Strong, fast and efficient – a proven-worker suitable to many missions. 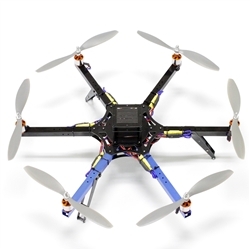 Because of its open design, Copter also supports more unusual frame types including the Single and Coax-Copters. Put this together with Plane, Rover and Antenna Tracker and you have a system of robotic vehicles that can be controlled through very similar interfaces to accomplish a wide variety of tasks. Continue to the Introduction section of this wiki. Use the ArduPilot Discuss Server Forums to ask support questions and advice. To get involved with the development of the software platform, visit the ArduPilot development guide. For a simplified chinese 简体中文 version abstract of this wiki please check ArduPilot.org partner CUAV!